Proposals for a mobile phone mast in an iconic north-east village have been earmarked for approval by planners. Pennan has long been classed as a “not spot” due to the community’s lack of mobile coverage. Now, as part of a £25 million Scottish Government aimed at boosting the 4G signal, a 26ft telecommunications tower could be installed there. WHP Telecoms is behind the plans, which would see the tower erected next to Pennan Community Hall. The chosen location is one reason the mast does not have the wholehearted support of locals, but a report by the council’s infrastructure boss Stephen Archer recommends the plans be approved, despite community concerns. Bill Pitt, chairman of the New Aberdour, Tyrie and Pennan community council, has said the proposed site is a major stumbling block for him. “Mobile signal is a problem for the whole area and having a mobile mast would be good for Pennan and the surrounding area,” he said. “But we feel that while the mast will help with communication, the main issue is the location and there hasn’t been sufficient information from the company on that. Some residents have said they enjoy the fact that people are not constantly on mobile telephones as it leads to more conversation. And local Alex Campbell feels the money being spent on the project should go elsewhere. 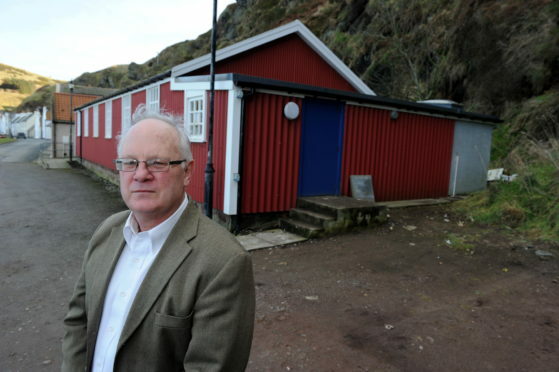 Alistair Mackenzie from the Pennan Hall Committee, meanwhile, said the mast would “restrict” maintenance access to the building and would “absolutely restrict” any future expansion of. Mr Archer’s report, which will be considered by members of the Banff and Buchan area committee on Tuesday, recommends those concerns should not be enough to derail the development. He said: “The proposed siting is considered acceptable in terms of the conservation area, natural heritage concerns and proximity to residential properties. “The concerns raised by the community council and within letters of representation are acknowledged and have been considered. “However, it is not thought these have sufficient weight to outweigh the acceptability of the proposal. Pennan will forever be a draw for film fans after featuring in 1983 Burt Lancaster hit, Local Hero. Hundreds of people from around the world pay a visit to the village each year to take photographs of its red phone box and the local inn.